... on the ledger sheet, that is. Because according to a new report, it turns out that using these "super slimmed down" alternatives to the PC could reduce your cost of ownership by up to 25 percent, as compared to an office equipped with traditional desktops. 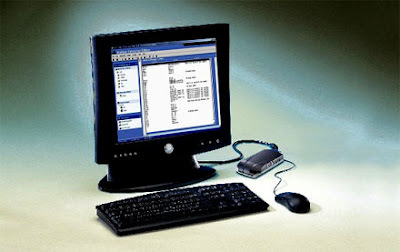 Thin clients have been around for years; they are simply a computer that uses a central server for processing activities, where you send your keystrokes and mouse clicks to the server, and you see what is happening on a monitor at your desk. It's very much like having a desktop PC, except that thin clients typically have no almost no moving parts and little memory. This reduces their power consumption dramatically; according to the report, they can use up to 50 percent less energy than a typical PC.No word on the global impact of switching to thin clients, but if just the 10 million or so PCs in operation in the UK would be switched out for thin clients, businesses could save £78m a year and cut CO2 emission by 485,000 tonnes.